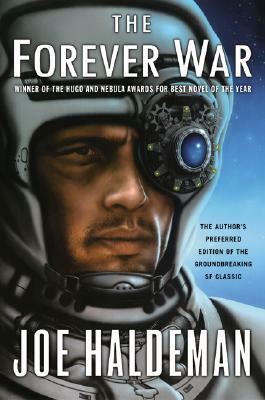 Private William Mandella is a hero in spite of himself -- a reluctant conscript drafted into an elite military unit, and propelled through space and time to fight in a distant thousand-year conflict. He never wanted to go to war, but the leaders on Earth have drawn a line in the interstellar sand -- despite the fact that their fierce alien enemy is unknowable, unconquerable, and very far away. So Mandella will perform his duties without rancor and even rise up through the military's ranks . . . if he survives. But the true test of his mettle will come when he returns to Earth. Because of the time dilation caused by space travel the loyal soldier is aging months, while his home planet is aging centuries -- and the difference will prove the saying: you never can go home. . .